One of the greatest advantages that cattlemen still have is being able to select the management practices that work best for their situation. It has always been important to BioZyme® that we offer products that can be used by a wide array of cattlemen to fit their specific production needs. As spring approaches, and you begin to think about your fly control needs, BioZyme offers several different VitaFerm® mineral products. Altosid® IGR Feed-Thru is a popular option to prevent the breeding of horn flies in the manure of treated cattle. However, for this product to be most effective, it should be used 30 days prior to the last frost. Often our team will hear from producers that they are still seeing flies when using IGR. You must remember that IGR is for the management of horn flies and you may be seeing other fly species. Also, it is extremely important that mineral intake is at the appropriate level in order for that cow to get the correct amount of IGR. BioZyme offers mineral options with fly control in both the VitaFerm® Concept•Aid® and VitaFerm® HEAT® product lines. Both of these mineral lines contain organic chelated minerals, and Amaferm®, a natural prebiotic that increases intake, digestibility and nutrient absorption, however these two brands target different production phases. VitaFerm Concept•Aid is designed to be fed 60 days prior to calving through 60 days post-breeding. VitaFerm Concept•Aid 5/S AUREO 3G IGR and VitaFerm Concept•Aid 5/S IGR both contain IGR to prevent the breeding of horn flies in the manure of treated cattle. It should be noted though, that the former product does contain AUREO 3G (CTC), which requires a VFD through your veterinarian. 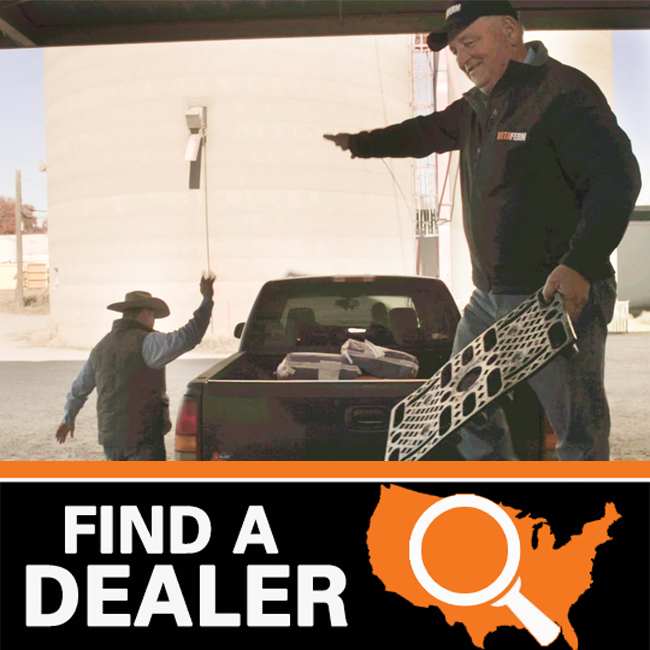 Now is the time to talk with your veterinarian and local feed store to ensure you can work this product into your management program. For more details on the benefits of IGR and the improvements in gain and profit, click here. Research has shown that the irritation and reduced milk intake from horn fly infestation can cause 20-25 pounds lower weaning weights as compared to cows treated with Altosid® IGR. If you are looking to steer clear of a VFD or are interested in a natural fly control product, we recommend our VitaFerm HEAT products. VitaFerm HEAT reduces heat stress during temperatures of 70 degrees and above, or anytime cattle are grazing fescue. From a fly control standpoint, VitaFerm HEAT includes garlic, a natural insect repellent. With this product, you will still see flies and insects hovering around your cattle, but they will not be making contact with their hide. For those producers interested in using garlic as a fly control option but are still needing a product with CTC for Anaplasmosis, we offer VitaFerm HEAT AUREO 3G, however, it does require a VFD through your veterinarian. 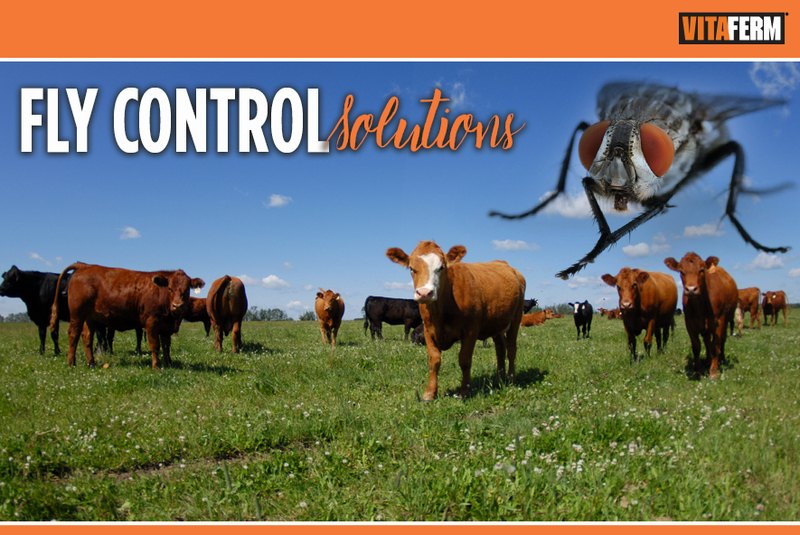 Regardless of the route you choose, combining a fly control product with Amaferm will ensure that your cattle see maximum performance and gains during spring and summer grazing season.